Book Drunk: Reviewed: Just Like Rebecca (Mishaps in Millrise Part Two) by Tilly Tennant. Reviewed: Just Like Rebecca (Mishaps in Millrise Part Two) by Tilly Tennant. Just Like Rebecca is part two of Tilly Tennant's four novella spin-off from Mishaps and Mistletoe. It was published on June 18, 2015. 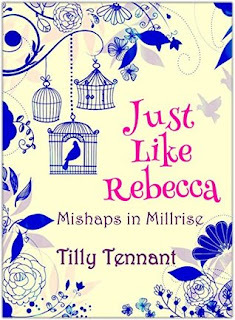 Just Like Rebecca is the second part of Tilly Tennant’s Mishaps in Millrise series. Following directly on from Little Acts of Love, Phoebe and Jack’s relationship continues to be tested and they are far cry from the blissfully happy new couple we met in the Christmas novella before this series, Mishaps and Mistletoe. Life is pretty stressful as far as Phoebe goes. As if discovering the bad financial state of her place of work, Hendry’s toy store, wasn’t bad enough – it’s relying on Phoebe to act out a plan to save it from ruin. 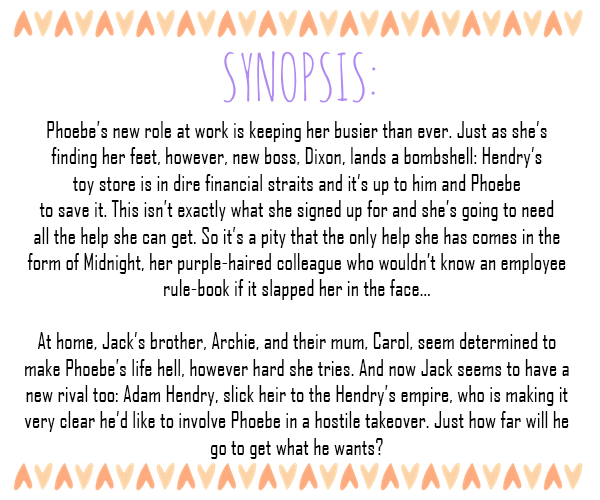 Add to that the fact that she’s about to meet Jack’s parents for the first time and see more of Jack’s younger brother Archie than she really hoped for, things aren’t looking too rosy for poor Phoebe. What Phoebe really wants is some relaxed time alone with Jack and his little daughter Maria but instead, she’s faced with spending a lot more time with the troublesome Archie too. Whereas Midnight has been the most involved secondary character of the series so far, in Just Like Rebecca, Archie takes over a lot more and I like the way he’s been brought into the story by Tilly. There’s almost two sides to Archie and I really like one of them yet find the other half really frustrating – which I guess is kind of what Jack feels about him too. Archie has his issues – issues which tend to force themselves onto the rest of his family too – but he also has the more charming and more caring side, the humour and the cheekiness which makes him endearing. Maria loves him too. But the side of him that causes problems between Jack and Phoebe is hard to ignore and I do miss the more harmonious side to their relationship! At the moment I don’t think Jack is the easiest character to warm to – if I hadn’t fallen for him in Mishaps and Mistletoe, I’m not sure how I’d feel about him in this series. My favourite character, other than Maria who you can’t not like, is Midnight and she’s still around here to add a bit of light to a slightly more serious instalment. She brings the fun and often has me giggling away with some of the things she comes out with. Tilly’s writing feels naturally uplifting in the way she laces humour all throughout the novella where it just sneaks up on you and puts a smile on your face. My favourite moment in this book involved the hapless but enthusiastic Geraint – this scene genuinely gave me jaw-ache but that’s why I like how quickly and easily Tilly can change the mood of a book because there are more serious real-life issues faced in this part of the series but it doesn’t stop the humour from flowing. I can also see Tilly’s quite annoyingly good at settling on a torturous ending! With all those little twists and teasers for what’s to come in the remaining novellas – she of course had to leave this part on an ending which means I’m dying to see how things unfold next! I hit the pre-order button straight away. Another entertaining instalment to the Mishaps in Millrise series as we see more ups and downs in the relationship of Jack and Phoebe.